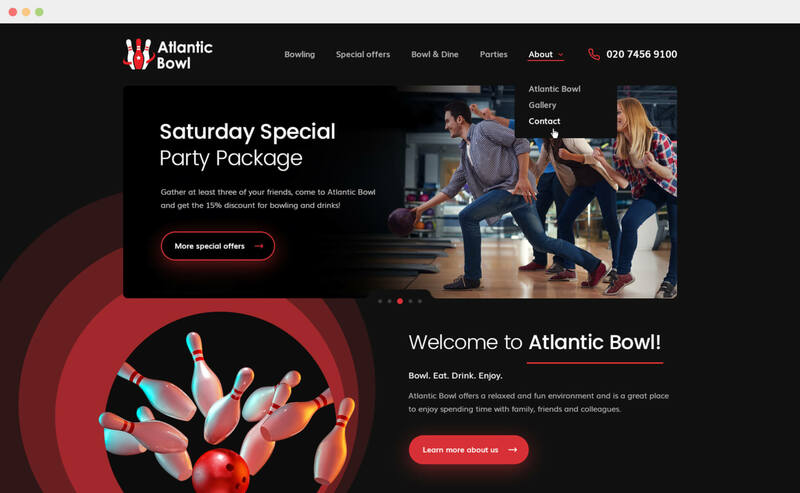 Introducing Atlantic Bowl, Altrincham’s new 22-lane bowling alley located in the former B&Q store at the Atlantic Street Retail Park. The bowling centre boasts 18 regular lane, 4 VIP lanes and is also home to a games arcade. It provides a great place to enjoy spending time with family, friends and colleagues. 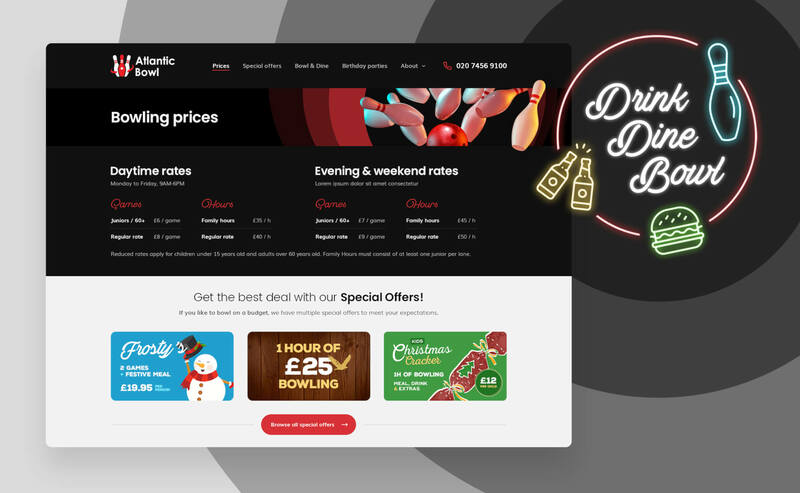 Our goal was to put a modern twist on the typical ‘retro themed’ bowling website, utilising a dark colour scheme, with contrasting sections in grey and white for optimal balance. 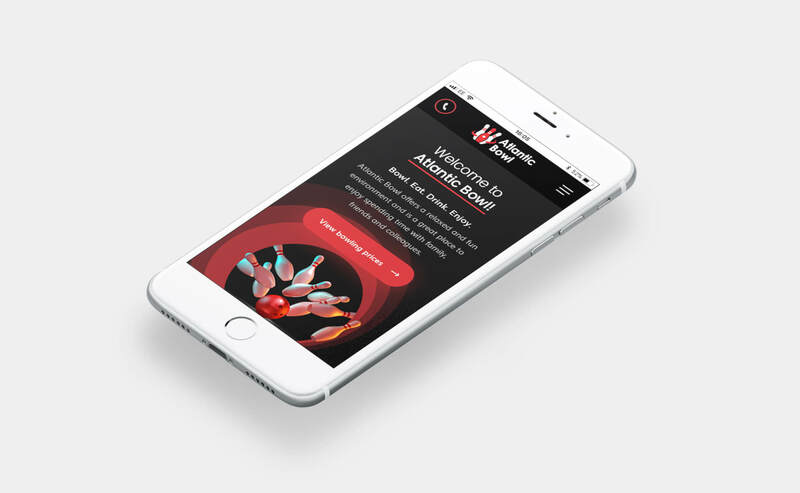 With a simple and intuitive design, supported by custom graphics we have ensured user experience was at our core focus, whilst incorporating small design details for that special touch. Custom graphics created for the website and social media purposes. Modular approach so that each component of a page can be managed accordingly, where any kind of content is concerned. The chosen platform was WordPress CMS. Our team thrives on new projects and challenges. If you have a project in mind then we’d love to hear from you.